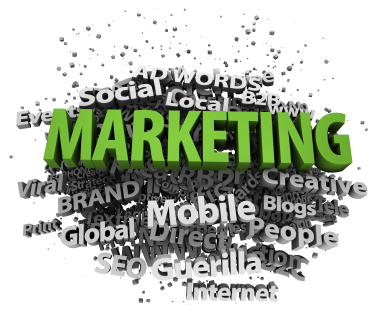 Regardless of what industry you are in, chances are that your company has major marketing needs. In order for your business to be seen by as many people as possible, you will need to have several different means of accomplishing this; however, sometimes, many marketing platforms tend to look the same. So, how do you distinguish between those that are similar and understand the differences? Two common marketing tools that people attribute as being one and the same are Tumblr and regular blogs. They assume that because Tumblr is similar to a blog, then it must be the same thing. Currently, the site boasts 126.8 million blogs, with about 56.4 billion posts. Tumblr has a Google page rank 8 and it is the 17th most visited website in the US (27th in the world). The sheer volume of activity alone made it interesting enough for Yahoo to buy Tumblr for $1.1 billion in May 2013. Tumblr isn’t necessarily the best place to write a several-thousand-word opus about a particular topic; however, if you were interested in sharing moving images, short text, links, music and videos, you may be able to use Tumblr to your advantage. Tumblr Vs. Blogging? What’s The Difference? If your company relies on a lot of visuals, then Tumblr is a great fit for you, as it allows you to post pictures, which can ultimately bring more traffic to your site and encourage others to keep coming back. Blogging, on the other hand, requires a little bit more time, as you have to write articles and have fresh content readily on hand for your blog. But your blog is also completely your own, not just an account on another site, giving you much greater options for customization and optimization. Your blog can be a small extension of your website or hosted on a major web provider; it can be extremely personal or strictly related to company updates. Regardless of how you structure your blog, it is a huge point of contact with your customers and can give people a better understanding of who you are and what your brand is. Huffington Post – This is a quick way to stay updated on their news posts. They also link to their Twitter account within Tumblr. J. Crew – Perfect for the fashionistas of the world, the J. Crew Tumblr displays their fashion, as well as popular ways to wear their clothing. They make sure their Tumblr does not feel like you are doing online shopping—a bonus for many. Universal Music – This company features artists from dozens of different genres, from Andre Bocelli to Lil Wayne. They use their Tumblr for music updates and things that most fans want to hear about. Vimeo – This one is for the inner filmmaker in all of us. Many fans check out their Tumblr for updates on films and company news. At a glance, the differences between using a regular blog and having a Tumblr account do not seem to amount to much; however, after comparing the each side by side, your company will clearly benefit from the dual marketing.